The small town of Otsego, Michigan has worked tirelessly to rid its community of asbestos—the only cause of a deadly cancer known as mesothelioma. Now, the United States Environmental Protection Agency (EPA) says it has begun a $1 million asbestos removal project that will contribute greatly to the cause. Back in February, the agency announced funding approval to remove asbestos from the former Rock-Tenn Paper Mill. However, structural issues with the building prompted the EPA to change course. Instead of attempting to remove asbestos from the mill, which would pose a danger to workers, the EPA plans to demolish the entire building. “We would have gone in and removed it, but it’s too dangerous,” said EPA Environmental Engineer Paul Ruesch. Further, even with the $1 million price tag, “it’s going to be cheaper to knock it down and take it all away as asbestos containing material as opposed to surgically removing the asbestos,” Ruesch said. The 48-acre property, including the mill, is owned by Allegan County. According to a recent MLive report, the paper mill closed its doors for good back in 2004. Two years later, the mill was purchased by Anthony M. Davis of Canton, Michigan. By 2011, the property had entered foreclosure, after Cogswell Property LLC (Davis’ company) failed to pay overdue property taxes. Asbestos was discovered during the foreclosure process. In 2013, Davis was sentenced to a year in prison and ordered to pay $168,029.59 in restitution to the EPA after pleading guilty to one count of violating the Clean Air Act by failing to obtain a thorough asbestos inspection for the mill’s powerhouse building before stripping out pipes that he knew were wrapped in insulation containing asbestos. For the demolition, licensed asbestos contractors will use a crane with a claw mounted to it “to take the building apart while misting devices knock down the dust.” Asbestos materials and debris will be removed from the site and “disposed of in a special way,” explained Ruesch. Before the demolition, a $30,000 board-up of the property prevented asbestos drift. In addition, the EPA removed around 200 drums and bins of toxic waste from the site in 2012. During the $1 million eradication project, perimeter air monitoring will be in place to ensure asbestos is not drifting from the site. Funding for the project comes from U.S. EPA funds for Superfund sites. However, the agency says it will attempt to recover the cost from responsible parties. According to Allegan County Executive Director of Services Dan Wedge, the entire project is expected to take 60 days to complete. In the meantime, the land is for sale and will be available for purchase for a “minimal investment,” Wedge said. “The demolition is meant to help bring more redevelopment opportunities,” he said. If you have been exposed to asbestos, see your doctor right away. 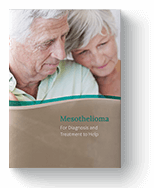 Your doctor can refer you to a specialist who will set up a monitoring plan that could help detect mesothelioma sooner. Early detection could lead to better treatment options and outcomes, so see your doctor to assess your risk today. Devereaux, Brad. “EPA to spend nearly $1M to demolish building containing asbestos in Otsego.” MLive.com. MLive Media Group, 22 Feb. 2019. Web. 08 Apr. 2019. Krafcik, Michael. “EPA to begin asbestos removal from Rock-Tenn Paper Mill in Otsego.” WWMT West Michigan. Sinclair Broadcast Group, 02 Apr. 2019. Web. 08 Apr. 2019.